Was a quick and easy read. Like alwys Noraa takes you to a different time of magic, love, bravery. What a weird book...Iwanted to leave it unfinished but have always finished a book I started....THANK GOD it was short.......too much fantasy.....would not read this again. 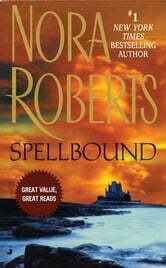 It was far fetched and I couldnot believ Nora Roberts wrote this........Yuck!